I think we have just solved the mystery of the single old stone pillar in our front yard. 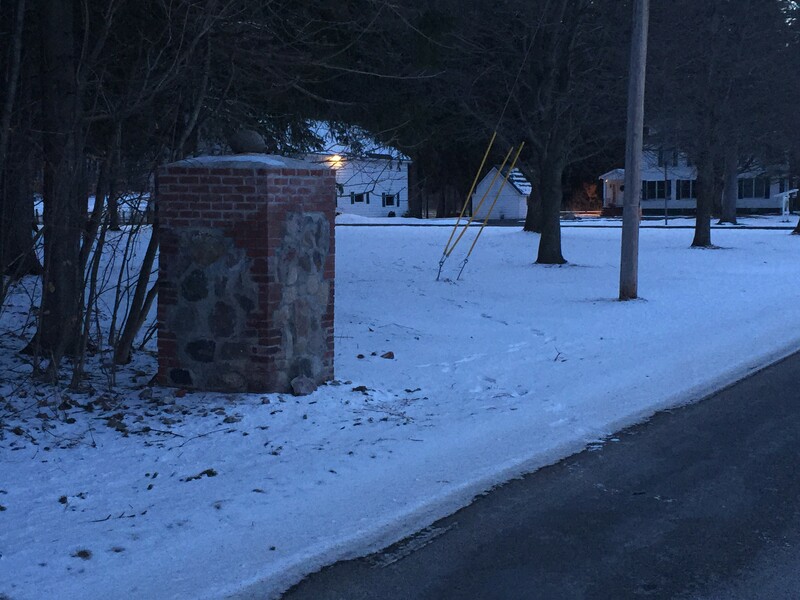 The pillar is well away from the corner of the driveway and isn’t near the corner of the property line either. It didn’t really seem to serve a clear purpose marking any boundaries. In addition, the stone and brick pillar was falling apart due to the many years of freezing and thawing cycles throughout the winters. It probably wouldn’t have made it more than a couple of more years before completely collapsing. We decided to repair it last fall and redo the mortar and bricks that had broken off. You can see the multiple colors of bricks in the photo where new bricks were used to replace old bricks that had crumbled apart. 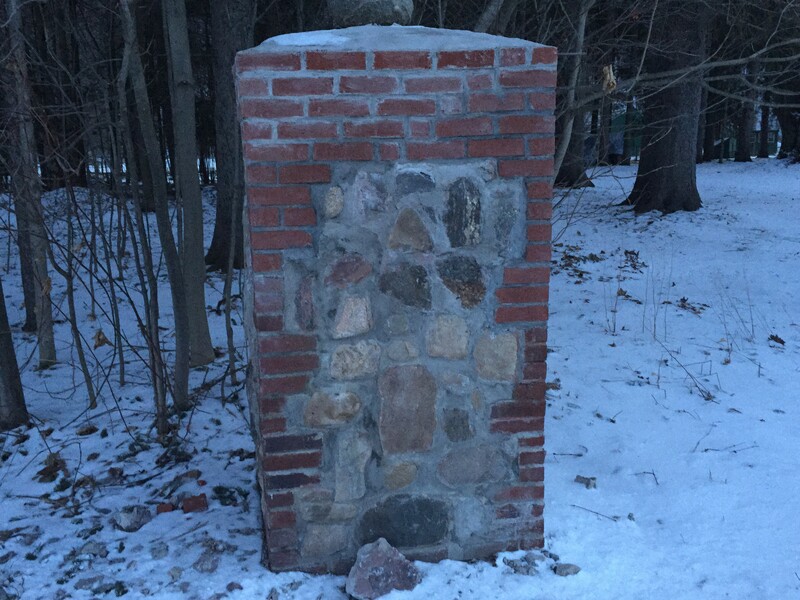 The stone and brick pillar – after repairs. A neighbor recently provided us with a pencil sketch from the 1950s or 60s that solves the mystery pillar! Click through to see the sketch and solve the mystery. Mystery solved! 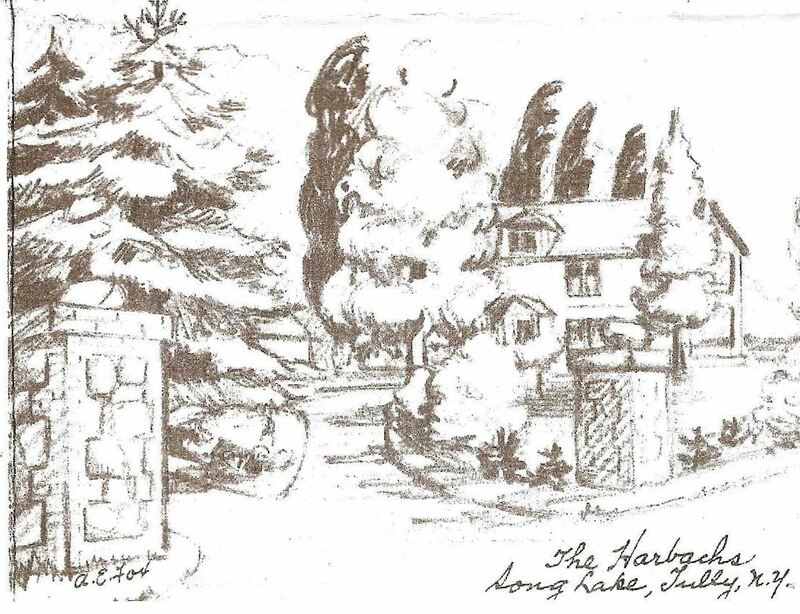 – The sketch shows stone and brick pillars on each side of the old driveway with the house and barns in the background. The pillar was marking the entryway. 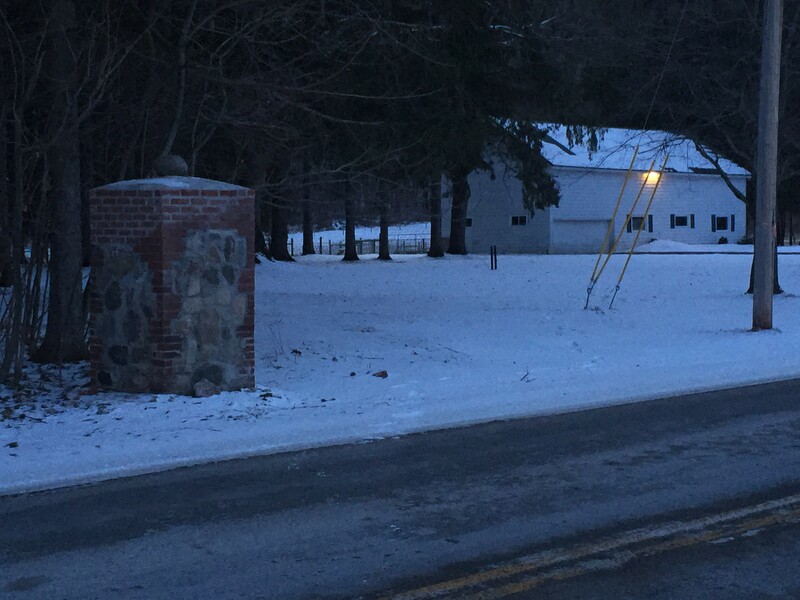 Previously unknown to us, the current driveway must have been moved from its prior location at some point in the last 50 or 60 years. Where the driveway used to run is now just part of the yard. A similar view to the sketch. The current day view of the old sketch showing the pillar. This entry was posted in Farm, General Information and tagged farm by Dan. Bookmark the permalink. Did you buy from the Harbachs? Or were they long gone? We didn’t buy directly from the Harbachs. I think the Harbachs lived here back in the 40s and 50s.